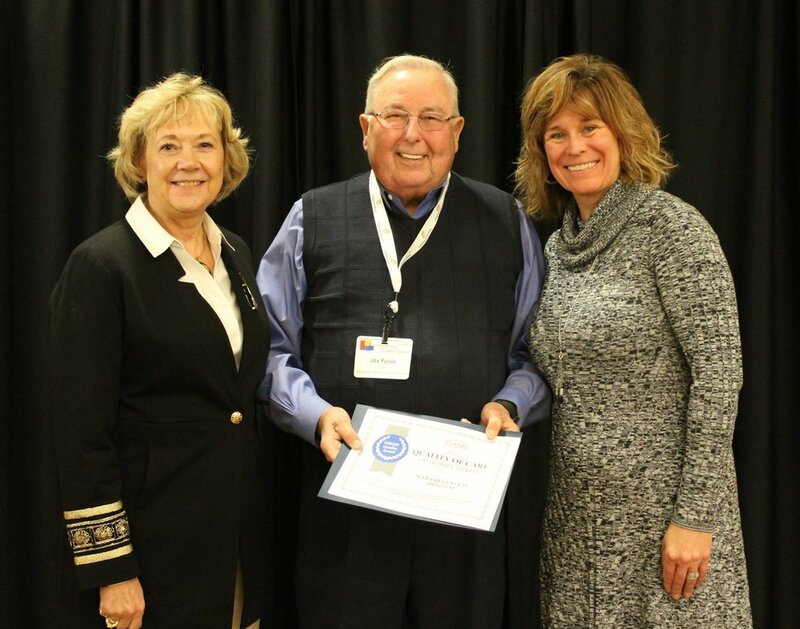 The Illinois Critical Access Hospital Network (ICAHN) recently recognized Wabash General Hospital for its ongoing commitment to exceptional quality of care, during a ceremony held November 14th at the I Hotel and Conference Center, Champaign, IL. As part of the Federal Office of Rural Health Policy Medicare Beneficiary Quality Improvement Program (MBQIP), Wabash General Hospital and other critical access hospitals were asked to voluntarily participate in four defined domains of quality outcomes. These four domains include: Patient Safety/Inpatient; Patient Engagement; Care Transitions; and Outpatient Measures. Wabash General Hospital was recognized for its quality of care outcomes (for participating in all measures in all four domains), for demonstrating top performance over two quarters in any domain (as is demonstrated by a >95% quality score), and for achieving a ‘5-Star’ HCAHPS Rating. The Center for Medicare and Medicaid Services (CMS) created the HCAHPS Star Ratings for consumers to more quickly and easily access the patient experience of care information provided on the Hospital Compare website. Star ratings will also allow consumers to more easily compare hospitals.